PLEASE NOTE: We have noticed a discrepancy between different models of the Draper spokeshave we previously recommended. Therefore, we do not recommend buying the Draper at present. The Stanley below is performing well. You can buy a decent spokeshave for less than £20 brand new, the metal-bodied Stanley #151 style (there are many brands making this model) bevel-down is the one Paul Sellers recommends. You will likely only need a flat-bottomed version at first, instead of the round-bottomed version, this is because the round-bottomed versioned isn’t needed so often, only in very tight radiuses of less than 6” (152mm) in diameter. To view the parts, click here. We bought this Stanley spokeshave from Amazon for £18.27* with prime shipping. If you are ordering from the US, we have found it on Amazon.com. Paul recommends some adjustments before use, see our setting up guide for more information. Hi, after reading the review on the Draper Spokeshave. I started looking into getting one. What I have found is that there does not seem to be anyone selling them in the U.S. I can get them on eBay.com, amazon.com, and International distributors new, but with the exchange rates and shipping fees, the cost ends up around the same as the antique Stanley 151’s being auctioned on eBay. So what I am wondering is, if the price is the same, does it matter which one I get? Is the Stanley still the better quality and thus the better purchase? Thanks for your thoughts and recommendations. If they are the same price, Paul would suggest the Stanley. 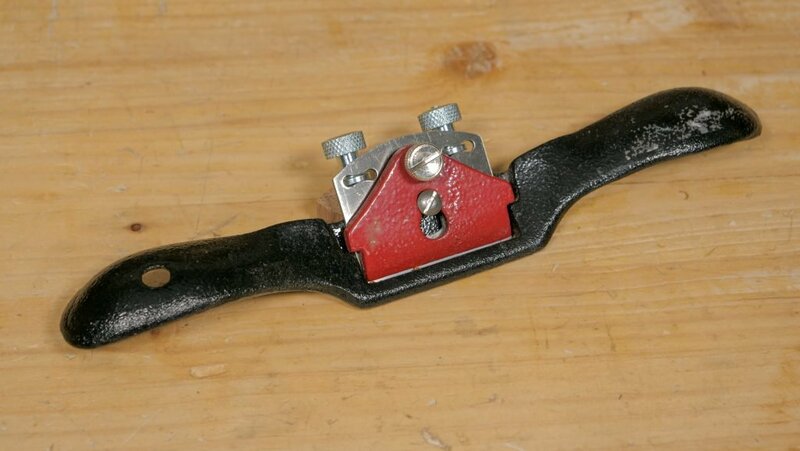 We suggested the Draper spokeshave as an inexpensive, functional option for beginners, however I understand this may not be the case for all countries. We are looking to add some buying guide suggestions for our US audience in the future. Thanks for your comment, this is something we are looking to add to the site in the future. Did Paul try the recommended Stanley one? Because some reviews on Amazon at the link provided above, seem to suggest that it is not a genuine Stanley article. Many thanks. We buy all the tools before we recommend them, unless stated otherwise. Paul has used this and is confident it is a genuine Stanley.